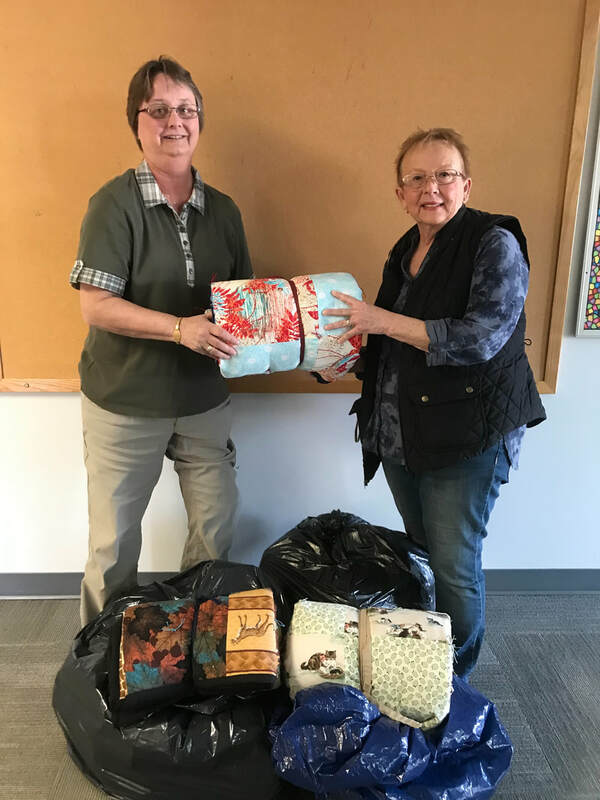 Alice Lejeck with St. John’s Mission Quilters in Lombard, Illinois, brought 12 handmade quilts their group made to donate to the Lutheran Church Charities Disaster Response ministry. The LCC Disaster Response teams will take these on disaster deployments and give to the families they assist. They are always so appreciated and a blessing to the recipients. Kathy O’Day, LCC Director of Disaster Response, was pleased to accept these quilts and extends thanks from LCC for this gift. 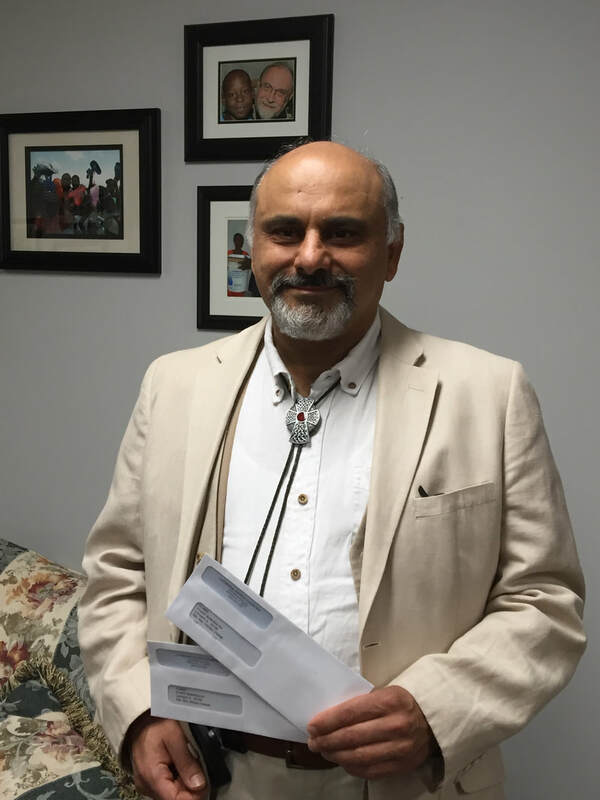 Pastor Angel Morales from St. Paul Lutheran Church in Aurora, Illinois, contacted LCC for assistance in securing a vehicle for a woman who is helping with him in outreach ministry. She currently is in the Deaconess studies at Concordia University. LCC was able to provide a vehicle that was donated by James and Korey Wysocki, members of Mt. Olive in Rockford, Illinois. LCC thanks the Wysocki’s for their donation to help this faithful servant. On Wednesday, March 13, LCC President /CEO Tim Hetzner attended the Rotary Club of Palatine’s Allocation Awards Ceremony held at the Cotillion Banquets in Palatine, Illinois. 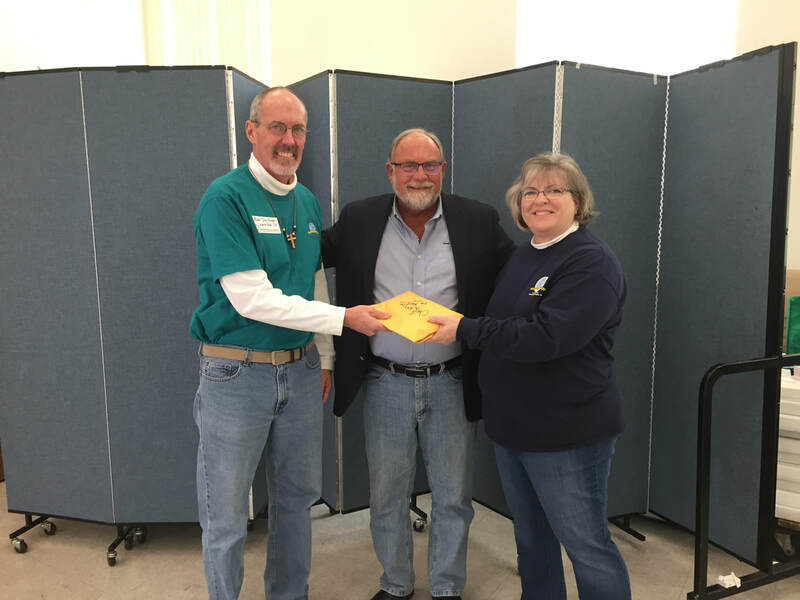 Lutheran Church Charities was the recipient of a share of the donations raised during their annual Oktoberfest. 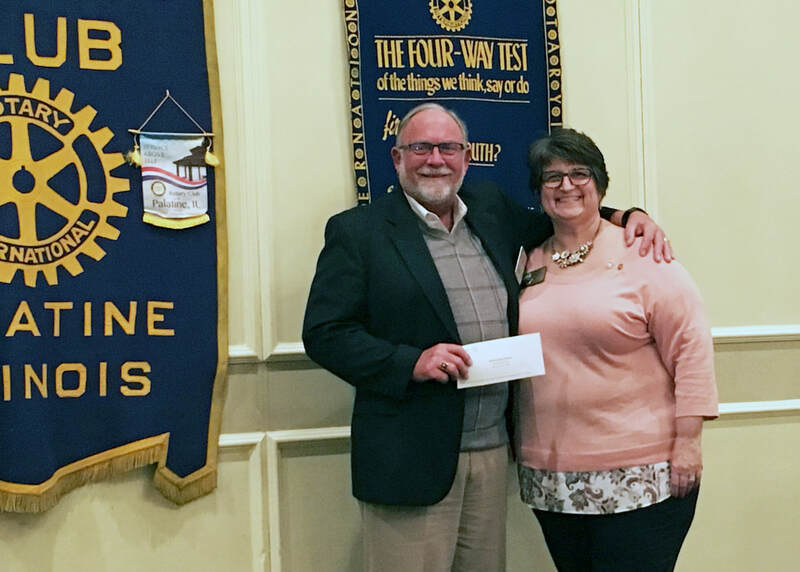 LCC thanks the Rotary Club of Palatine Foundation for their generous donation. 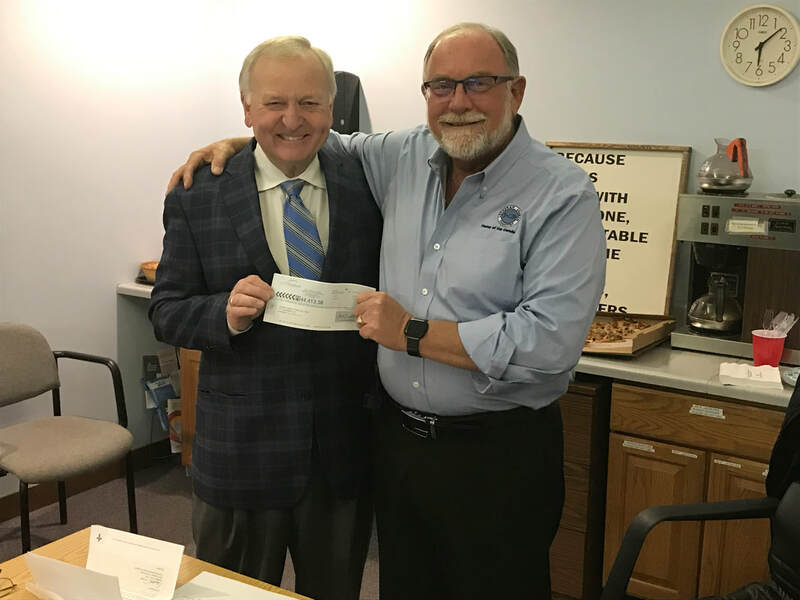 On Tuesday, February 26, Ray Pagels from the LCMS Foundation presented Tim Hetzner, LCC President / CEO, with donations bequeathed to LCC. The LCMS Foundation is the primary provider of charitable expertise for The Lutheran Church—Missouri Synod. The Foundation has decades of charitable expertise, helping to ensure that families are provided for and beloved ministries are supported. The LCMS Foundation serves our Lord and our Church by providing trained professionals to assist individuals and ministry congregations in practicing Biblical, Christ-centered stewardship. Their trusted, professional gift planning counselors throughout the United States are skilled leaders who have helped thousands discover God’s plan for them and their families. For more information on the services of the LCMS Foundation, visit www.lcmsfoundation.org or contact Ray Pagels, CDE, LCMS Foundation, Christian Gift Planning Counselor, 402 W. Ladd Street, Arlington Heights, IL 60004 or (224) 387-3857. 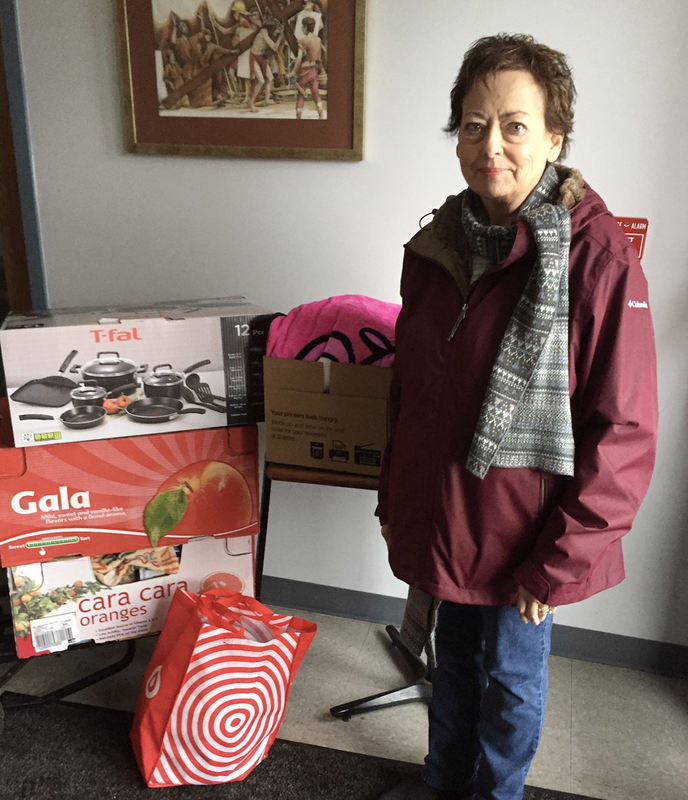 In January, Connie Fuller brought in four large boxes of household items. 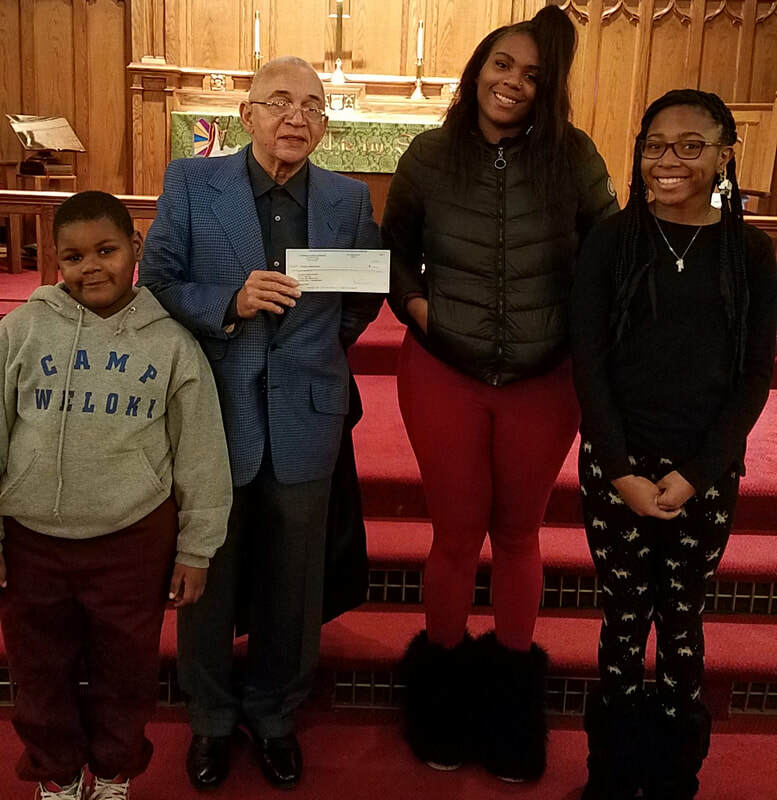 Part of the donation benefited a family of five, the parents and 3 boys ages six and under, that St. Paul Canfield in Chicago, Illinois, is assisting as the mother goes through cancer treatments. LCC will provide the rest of the donation to Military Outreach who assists the VA by providing household items, furniture and basic essential items to homeless veterans who move into an unfurnished apartment. 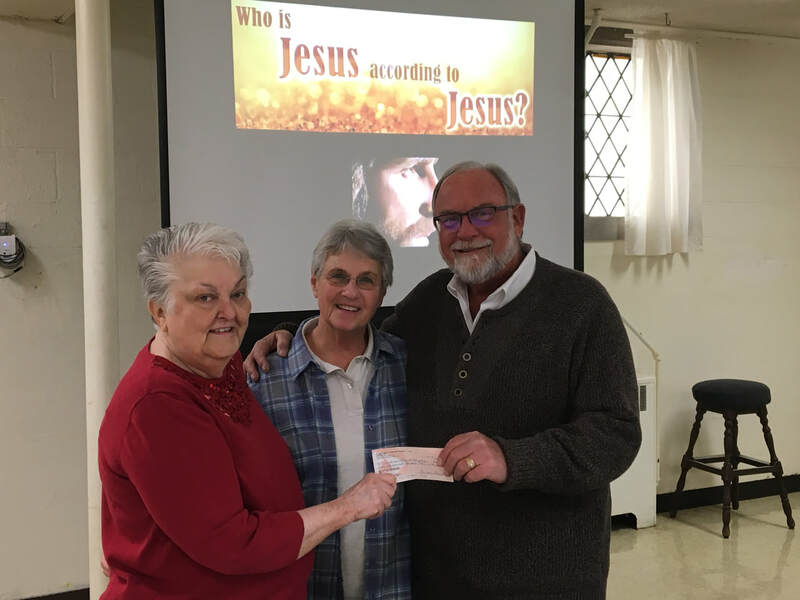 Lutheran Church Charities extends a gracious thank you to the Ladies Aid Society at St. Matthew Lutheran Church in Hawthorn Woods, Illinois. On January 13, Tim Hetzner, President / CEO, received a generous donation to be used for the LCC K-9 Comfort Dog Ministry that was gifted to them as a bequest from a long-time member who passed away last year. St. Matthew is the home of LCC K-9 Comfort Dogs Ladel and Malachi. The Ladies Aid donation will be used to bring comfort to people in need. Last year, Lutheran Church Charities was contacted by Lutheran Special School in Hales Corners, Wisconsin, for help in securing critical resources for their new building which serves children with special needs. Dianna Bonfield, LCC Deaconess and Volunteer Coordinator for Congregational Outreach Support, worked closely with Immanuel Lutheran Church in Des Plaines, Illinois, to coordinate several churches that closed their school to share their resources with LSS, including a school bus. CLICK HERE to hear firsthand how these donations are making a difference for Lutheran Special School. Lutheran Special School and LCC extend a heartfelt thank you to the churches, their members, and all of the volunteers for giving them the resources to share the Mercy, Compassion, Presence and Proclamation of Jesus Christ to their students and families. The love and the peace of our Lord Jesus Christ be with you and your loved ones. I consider it a privilege to be writing this thank-you note to you. Thank you for your generous donation to help support St. Matthew’s faith mission. We thank God almighty for the blessings we received by sharing Christ’s love and compassion with the people of Chicago’s Pilsen Community. I will always pray for you and remember to always serve with love and compassion for the poor. 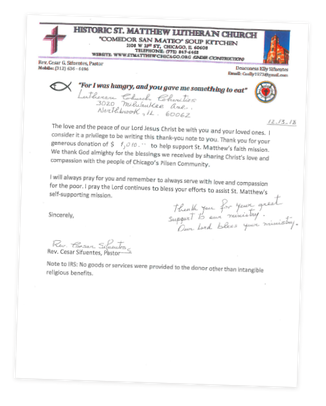 I pray the Lord continues to bless your efforts to assist St. Matthew’s self-supporting mission. 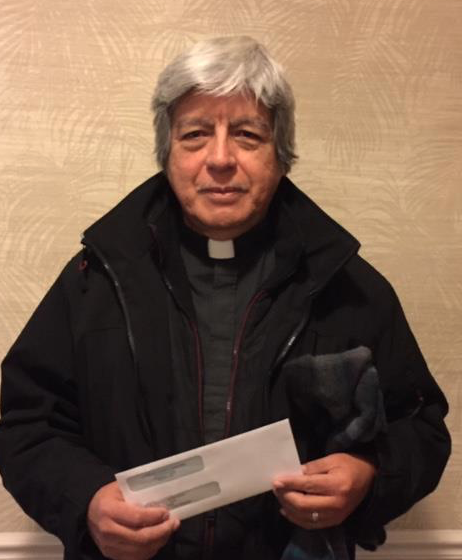 On Friday, December 21, Lutheran Church Charities had the honor to present Pastor Caesar Sifuentes of St. Matthew Lutheran Church in Chicago, Illinois, financial assistance from our generous donors in support of their soup kitchen El Comedor Popular. On Tuesdays and Thursdays each week, the soup kitchen opens its doors and serves breakfast and lunch to a neighborhood beset by unemployment, poverty, crime, and drug addiction where many families with children live with an intense feeling of fear and insecurity. As Pastor Sifuentes shared “We, the staff and members of St. Matthew as servants of Christ, share the same fears, but our faith is renewed in our trust in God that he watches over us, guides us, and provides strength to Christians ‘poor serving the poor’”. Thank you for your support this Christmas in helping to keep this ministry of serving the poor in Jesus name, making a real difference in people’s lives and the Kingdom of God. Thank you to LCC volunteer Chris Borzello and member of Immanuel Lutheran Church in Elmhurst, Illinois, who donated and delivered 250 corrugated boxes to LCC to use in support of our ministries. 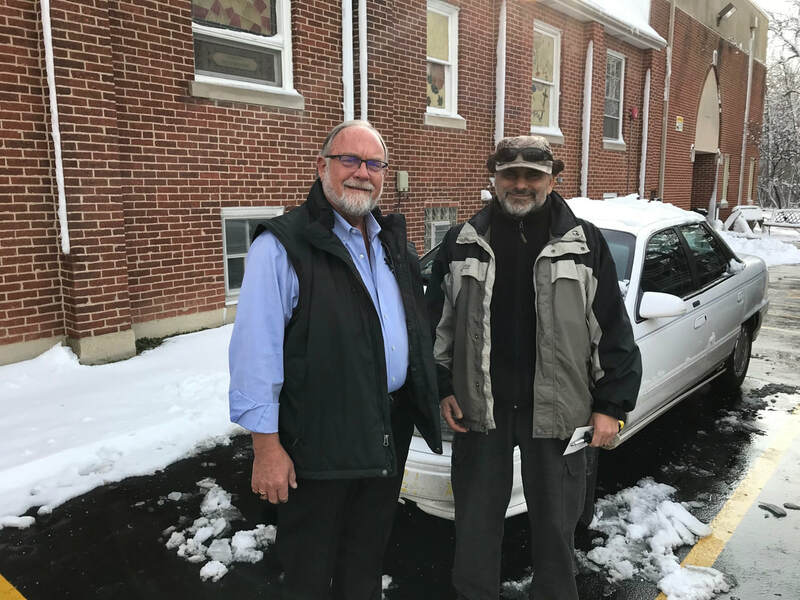 Because of the generous donation of a car, LCC was able to meet the need of Salam Christian Fellowship for a vehicle for an Iraqi refugee and new convert from Islam who helped the American forces in Iraq fighting terrorist attacks. He arrived in the Chicago area a month ago. He came to Chicago because he met Pastor Hesham Shehab on Facebook. With the generosity of our donors, Christ the King Lutheran Church and School in Chicago, Illinois, not only was able to purchase the desperately needed freezer but also all of the food that they needed to prepare Thanksgiving meals for 500+ seniors in need. God always makes this work! Last Friday, November 16, the kids learned how to cook four turkeys as practice for the kids who have never cooked before coming here. Saturday, we received some of the food to cook for the Thanksgiving meals. Monday we cooked turkeys with the kids, Tuesday some ladies in the church helped with the older kids in cooking the dressing. Wednesday the staff, kids and ladies from the church are cooking mac and cheese. Thursday we will cook some more Turkeys and beans. All the pans will be frozen for delivery. The deliveries to three of the senior homes will be made Friday, one more will either be Friday or Saturday. On Saturday, November 24, we will cook the turkeys for Sunday and make the gravy. The youth will have their youth service celebrating Thanksgiving and share a meal with parents, children and neighbors. Ladies will fix plates for another senior building who picks up their dinners. Then some of the members will deliver meals to the seniors who live on Lake Park in their houses and in the apartment building to the North of the church. LCC thanks donors for responding to this urgent need so quickly. LCC also thanks Christ the King for their on-going ministry to seniors in need, especially during the holidays. 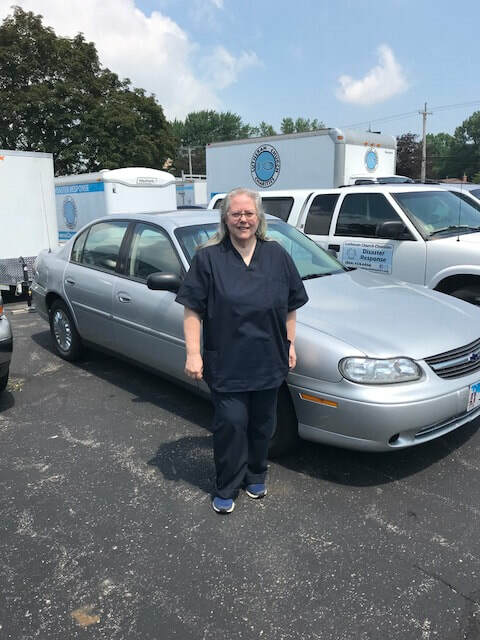 LCC thanks Robert and Susan Klawitter, members at St. Peter Lutheran Church in Arlington Heights, Illinois, for the donation of a 2000 Acura car. Your donation will greatly help an individual in need of transportation. Last week, Lutheran Church Charities and the town of Prospect Heights held a Distribution Day for residents affected by the Prospects Height condominium fire. Fifty-two families came to Our Redeemer Lutheran Church to receive assembled gift card bags and homemade blankets from St. Peter – Arlington Heights, St. Paul – Mt. Prospect, and Our Redeemer – Prospects Heights. They not only received gift bags, but met with the Victim Advocates from the Prospect Heights Police Department for assistance with additional needs. LCC K-9 Comfort Dogs JoJo (Living Christ – Arlington Heights, Illinois), Susie (St. Peter – Arlington Heights, Illinois), and Tara (LCC Staff) were also present to offer mercy and compassion to those in need. The City of Prospect Heights Police Chief, Al Steffen, was present for part of day to meet residents and thank Pastor Rod Krueger, volunteers, and the churches for their generous donations for their community members. All of the residents appreciated the community support and care continued to be shown to them. Kathy O'Day, LCC Director of Disaster Response, will also attend the next distribution day to be held at the Prospect Heights Police Department later this week for the remaining residents. Pastor Micah Greiner from St. Peter – Arlington Heights, Pastor Kris Whitby from St. Paul – Mt. Prospect, Pastor Rod Krueger from Our Redeemer – Prospects Heights, and Deaconess Kathy O’Day from Lutheran Church Charities worked together at St. Peter on a service project with congregation members assembling bags of donated gift cards from the three churches for residents affected by the condominium fire in Prospect Heights. Prior to assembling the bags, participants met in small groups to pray for each of the families by name. The bags will be combined with handmade blankets and distributed out of Our Redeemer to residents. Officer Garza and Rebeca Rosario, Victim Advocate, from the Prospect Heights Police Department came to St. Peter for the packing event to personally thank the congregations for their assistance for those affected by the fire. They shared how much the residents appreciate the community support and care being shown to them. I want to provide a letter for you, for a variety of reasons. First and foremost, I want to give you an update on my family and how our lives are currently going. Second, I want to write to you about how your magnanimity has helped us through the past few months. Although we have had our share of trials and tribulations, I am proud to say that things are getting better. There isn’t a day that goes by that we don’t think of Carla; however, our thoughts are beginning to move away from the pain of her death and gravitate towards the joy that was her life. We don’t shed as many tears when we go through her old clothes, or crack open her old books. We instead think of the funny things she would say, or the wisdom that she graced us with through our time together. Along with the easing of our pain, other positive developments have taken place in our lives. In May of this year, my wife Emily graduated from OSF Nursing School. Moreover, she passed her boards with high marks! She recently started her new nursing job on the Cardiac Intermediate floor at OSF Hospital in Peoria. My sisters-in-law, Allison and Alexis, are also doing well. Allison has started her junior year of high school, and Alexis has started 7th grade. Allison, having turned 16 this year, recently took and passed her driver’s exam, making her a licensed driver! She has progressed far in her driving ability in such a short period of time, and Emily and I couldn’t be prouder. As said before, Alexis has started junior high this year, and with it has come more responsibility. She has been handling this new environment well, and we expect her to continue with earning high marks. Both girls are growing into fine young women, and Emily and I know that Carla would be proud. As for myself, I am continuing my education at Illinois Central College. I am still working towards an Applied Science Degree in Industrial Electrical Technology, and I am expected to graduate next spring. I have maintained a 3.97 GPA, and I hope to be a top contender for job offers in the coming future. All of this wouldn’t have been possible without the generous donations that you have been sending our way. Still being in school means that I can’t work full time, which puts a serious burden on our financial situation. The money that you have given us has propelled us through the past few months, ensuring that we could buy clothes for the girls, and put food in their bellies. For that, we are eternally grateful. The generosity that you have displayed mimics that of Christ himself. His giving was never for recognition, praise, or self-interest; it was simply for the good of others. Like him, you have given to us to ensure our welfare, and for that, we cannot thank you enough. Due to the generous and ongoing support of LCC donors, Sylvie graduated on Thursday, August 9, with her LPN degree. This is an exciting time for Sylvie as she can now secure full-time employment as a nurse to support her two sons. On Saturday, August 11, members of Sylvie’s church at Beautiful Savior Lutheran Church in Antioch, Illinois, celebrated her accomplishment and recognized all involved including Lutheran Church Charities. Throughout everything that Sylvie and her boys have been through, they continue to praise God for what He has orchestrated in their life. Beautiful Savior and Sylvie extend their heartfelt thanks for the constant support of LCC donors. Because of your help, Sylvie will now be able to raise her boys in financial security for years to come. 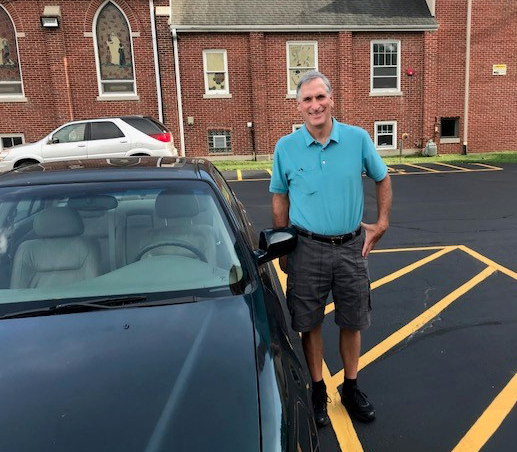 Due to the generous car donation by John Blazine, LCC was able to meet the need of a member of Immanuel Lutheran Church, Palatine. This gift of a car will provide reliable transportation to work for her, a long-time member, as well as her brother. Thank you John for your servant heart! After everyone was served, we sat down to enjoy the same meal. Pastor Cesar shared with me that two gentlemen requested after the kitchen closed if they could come to confession before him. Praise the Lord for the wonderful kingdom work being accomplished by simply serving those in need and giving an ear to their needs. Further conversation through the afternoon with Pastor shed light on how God was using the ministries offered at St. Matthew to save souls and build the Kingdom through the obedient hearts of Pastor Cesar and his wife. A story that touched me and showed me how God was working in this place was what happened after an evening Adult Bible Study led by Pastor and Deaconess Elly. As they left the church they were met by four men in the parking lot and their fear was that they were there to harm them but quite the opposite was true, as they were there to protect them because they knew of their Bible Study, knew of the violence going on that night in the area, and wanted to assure them of safe passage home. Christ’s church is growing in this neighborhood through confirmation of new members, baptism of newborn babies, Bible studies, Vacation Bible School, corporate worship, and the love and compassion of Christ being shared through the soup kitchen and monthly clothing sale. With all the hardships and challenges ever present for this congregation, Pastor Cesar and Deaconess Elly deeply appreciate our ongoing prayers and donations. 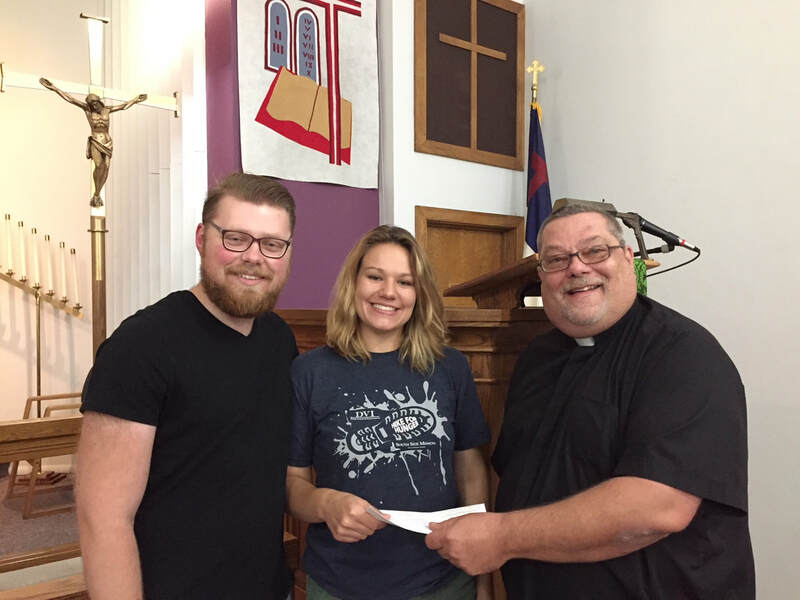 Last week, Pastor Michael Liese, St. Paul – Brimfield, Illinois, delivered your generous donations to Emily, a long-time family member in need, and her husband. They are also caring for Emily’s two younger sisters and working towards guardianship. This faithful family knows that God will continue to provide support during this difficult time through your generous donations. 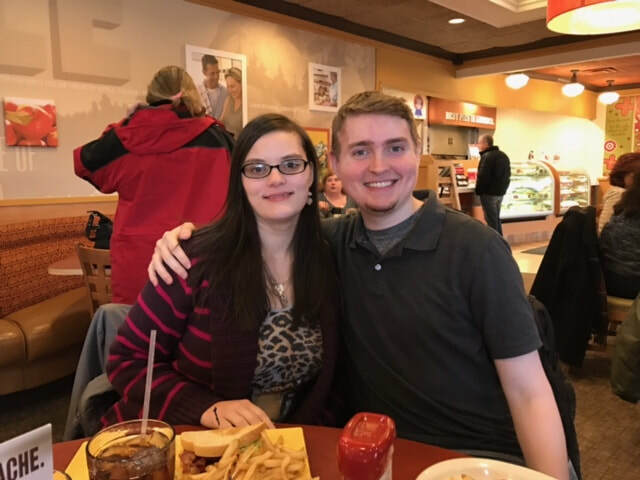 Lutheran Church Charities received a letter from Stephanie and Shane Penzol on April 25, 2018. 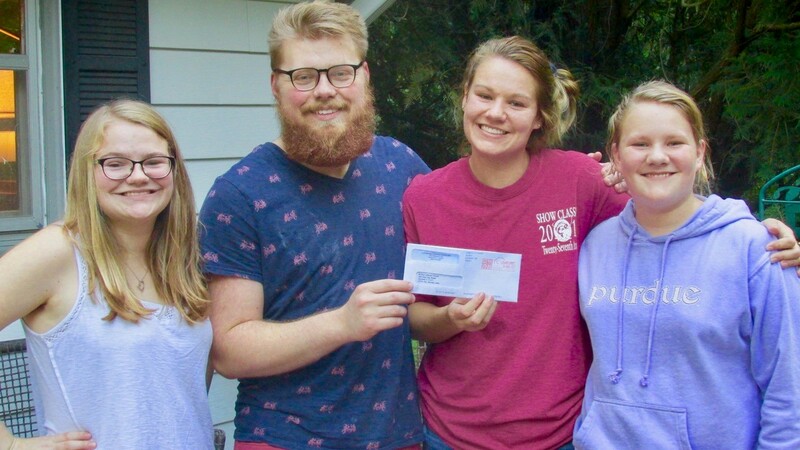 LCC donors have generously supported the Penzol family as these two young adults put their life on hold to take care of their mother during her battle with cancer and manage expenses after her death. They are now able to manage working and begin taking college courses again. Thank you for blessing us with all of your kind hearts. Love is a very special bond that allows people to be able to connect with one another. But when losing someone you love is happening, it can also bring painful sorrow. Our mother, Kathryn, was a beautiful God loving soul. We are so proud to have been her children and got to experience as much life as we could with her. She was a single mother who had one absolute belief in life ... that was the belief in unconditional love. She believed that if you had unconditional love with your faith and family that a truly blessed full life was possible. That is something we will always carry in life. We believe her love was spread to all of you and touched your souls. The donations you gave us allowed us to be able to take care of both our mother and our home without worry on our hearts. We cannot express how much appreciation and gratitude we have for you. We pray for our mother every day and ask for her to bless each and every one of you. Because of you, we were able to stay in the home that all the memories of our childhood with her are from. It helped us cope with the pain and the loneliness sometimes. In our painful situation we had selflessly chosen to take care of our sick mother above everything in our lives. We dropped out of college to have that time with her because we knew that school was always going to be there, but our mother might not be. That precious time we got to have with her was worth more than anything to us. But we know that our mom was also a selfless person and she wouldn’t want us to still keep our lives on pause for her. Now we will be able to continue on with our dreams in life with her in our hearts. With your donations, we will be able to go back to school and continue our education to accomplish our dreams like our mother had wanted. We would also like to thank the Hanson Family. It was fate by God that our mother would create a love bond with Diane and Scott Hanson. God knew the future he was creating for us and we believe in our hearts that is the reason they met our mother 20 years ago and became our family. Love connected us with them which then connected us to all of you. The connection of love is one of God’s greatest creations. We pray for love and happiness to all of you. And we truly, from the bottoms of our hearts, thank you for everything you have done for us and the future we will be able to create for ourselves with your donations. Love and God bless! Following the LCC K-9 Ministries deployment to Marjory Stoneman Douglas High School in Parkland, Florida, after the mass shooting, a student began selling Human Being Kind stickers to raise money to help students struggling mentally and physically. She designated the funds for two purposes, to support the LCC K-9 Comfort Dogs and to provide financial support to victims and families. LCC thanks Sophie for her kind and generous heart. Our prayers and thoughts continue to be with the Parkland, Florida community. 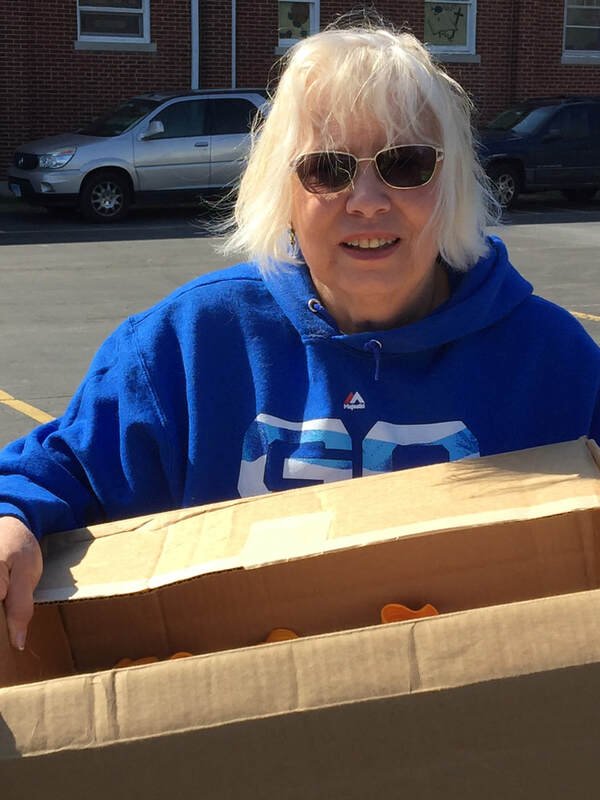 Thank you to LCC volunteer Cynthia Beyers who delivered a box of 50 T -shirts to the LCC office that will be taken to St. Matthew’s soup kitchen and handed out to children and adults in need of clothing. In the aftermath of the shooting at Marjory Stoneman Douglas High School in Parkland, Florida, Chops Shop, a local family printing and embroidery business, raised funds to support those helping at the school and in the community. Through the sale of t-shirts, magnets, and wristbands on their website, they raised $2,000. 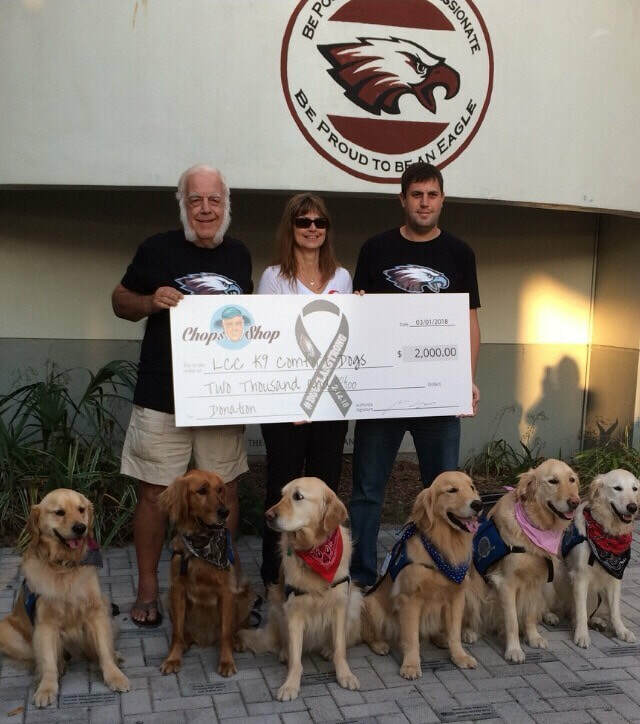 On Friday, March 2, Wilfrid Stride, his son, Adrian, and daughter, Sandra, came to the high school to present their check to the LCC K-9 Comfort Dog Ministry. Wilfrid Stride, whose trademark lamb chop sideburns inspired the company name, affirmed that the family wanted their donation to provide direct support to help the students at the school. 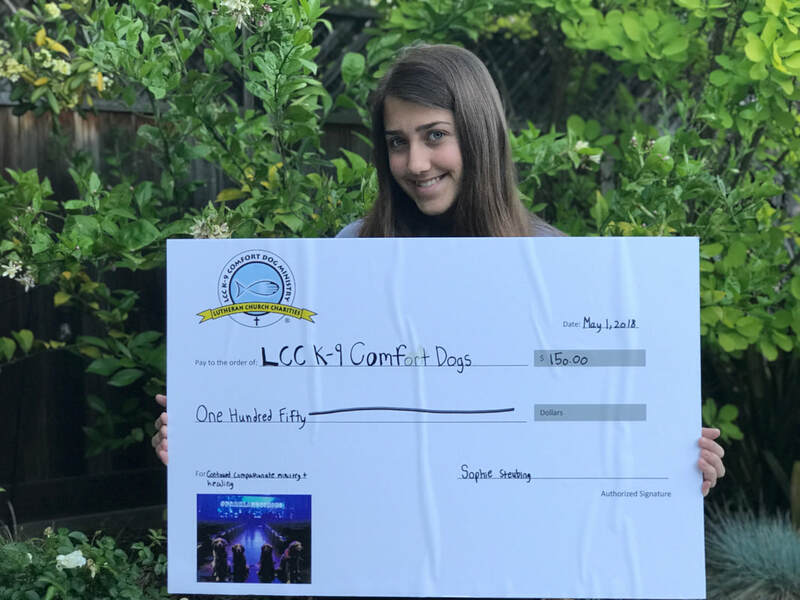 The Stride family was assured that their donation would allow LCC K-9 Comfort Dog teams to serve people in need with the mercy, compassion, presence, and proclamation of Jesus Christ. Thank you Chops Shop and the Stride Family for your generous donation to the LCC K-9 Comfort Dog Ministry and commitment to help your community. On Saturday, February 3, an upright freezer was delivered to Jehovah El Buen Pastor Evangelical Lutheran Church (JBPELC) to be used in its ministry as it reaches out to the community around them. 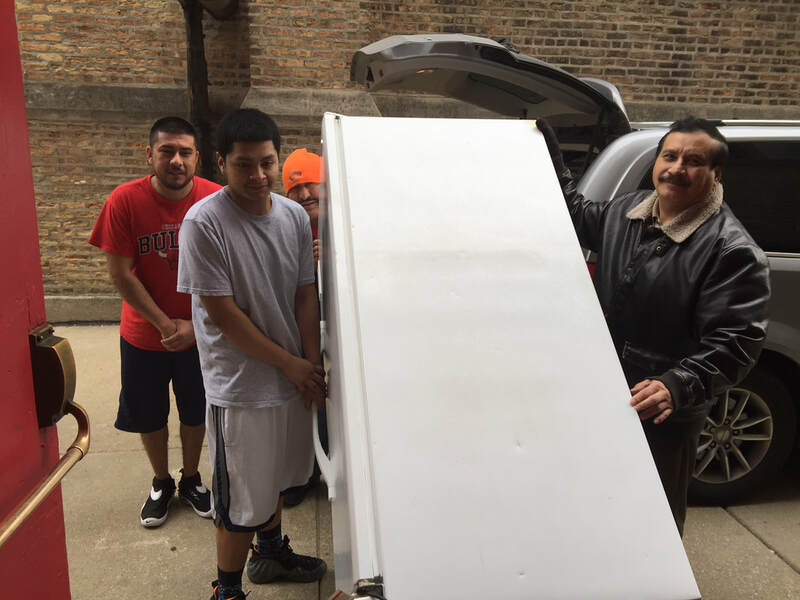 Pastor Fernando Gomez, Leo Salgado, the church and school trustee, and three young men who were playing basketball in the gym helped move the freezer into the building. JBPELC, like so many other ethnic ministries, faces the challenge of trying to reach out to neighborhoods changing due to redevelopment. The renovation of houses and stores in deteriorated urban neighborhoods for upper- or middle-income families or individuals, raises property values but often displaces low-income families and small businesses. The challenge for Pastor Gomez and the congregation is find ways to reach out to the changing community, to the lower income families who make up the most of the congregation, and to the new neighbors in the neighborhood. Talking with Pastor Gomez, LCC staff member Dianna Bonfield had a chance to learn about the ministry the church is doing, the opportunities, challenges, disappointments, and the hopes and dreams of the congregation for the future in serving our Lord and the people He loves and died for. Every Saturday, JBPELC has a food pantry that serves the community which they would like to enlarge. They are equipped to give out dry and can food, they have refrigerators for foods that need refrigeration, and freezers for meat and other frozen food products. They operate a parochial school grades K-8. On weekends, they rent out the parish hall and the gym to be used by community groups. One of the hopes and dreams for the near future is to develop a youth ministry program. With a heart for reaching and getting to know their new neighbors around them, JBPELC is planning on implementing a prayer ministry at Jehovah/El Buen Pastor this spring which will incorporate a scheduled prayer walk around the community to meet their new neighbors and pray for their concerns. Please lift up Pastor Gomez and the congregation in your prayers as they grow in reaching out with the Mercy, Compassion, Presence and Proclamation of Jesus Christ to all of those around them. This past weekend, the LCC K-9 Ministry held a handler training with people from 12 different congregations from 9 different states. Handlers from Christ the King – Memphis, Tennessee (LCC K-9 Comfort Dog Job) collected $1,625 in gift cards that were handed to LCC, who in turn gave them to Rev. Dale Snyder of Our Redeemer – Wichita Falls, Texas (LCC K-9 Comfort Dog Elijah) to be given to families still suffering from the flooding this summer. God works in amazing ways! Tim Hetzner, LCC President / CEO, also presented Rev. Dale Snyder and his wife with financial assistance from LCC donors to continue helping families still recovering from the impacts of Hurricane Harvey. I have attached some group pictures for you and for the donors. My church members give their best wishes and thanks to LCC and all donors. Again, thank you for your love and kindness. Following the devastation of Hurricane Maria, Jose and Ema Ortiz, along with 2 of their 3 children, age 17 and 4, relocated from Puerto Rico to the northwestern suburbs of Chicago, Illinois. For seven hours, Jose and his family waited out the terrifying storm that totally decimated the tiny island of Puerto Rico. They huddled together in a corner listening to the howling fierce winds, pounding torrents of rain, and the sounds of crashing debris. More fortunate than most, they had a cinderblock brick home and, by God’s grace, emerged with no loss of life or serious injuries. The reality of the devastation set in when they saw how most of the homes in Las Piedras, Puerto Rico were flattened or no longer there. Things became worse when the people realized there was little or no food, clean drinking water, fuel, or electricity. When Jose learned that the pharmaceutical company where he managed the warehouse laid off all its employees indefinitely, they decided to permanently relocate their family back to the United States where they once lived. Barb Albert, a former neighbor and member of St. Paul on Canfield in Chicago, Illinois, realized the Ortiz family had moved back to the area with no possessions. So Barb and her aunt, Jennifer Boberg, spoke to the congregation about helping the Ortiz family. With compassionate hearts, the congregation rallied and found donations of household goods to furnish an apartment for them. Jose secured a job from the same company where he had worked previously for six years, as well as getting his 17 year old daughter a job on a different shift. With their combined paychecks, the family of four was living in a one bed studio hotel room with a furnished kitchenette. Paying $400 dollars a week for rent and trying to buy food, the family was barely making ends meet. St. Paul contacted Lutheran Church Charities to ask if we could assist with an appeal for the first month’s rent, security deposit, furniture, and helping the family find a better living arrangement. Two days before Christmas Eve, the family got a lead on an apartment in the complex where they used to live. On Wednesday, December 27, with the help of an LCC donor, Jose was able to pay the 1st month’s rent and security, sign the lease for the apartment, and move to a spacious 2 bedroom apartment they could afford. 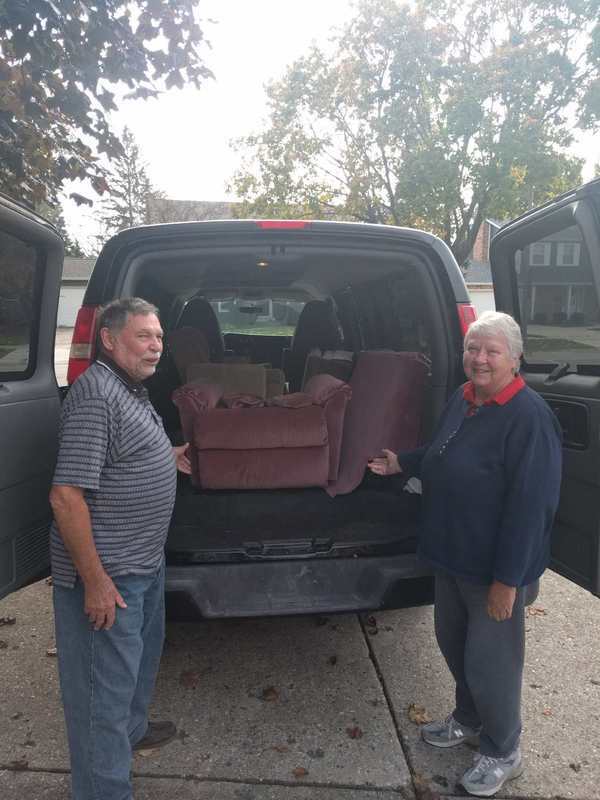 The following morning, LCC Staff member, Dianna Bonfield, and LCC volunteers Jim Beckley (Prince of Peace – Palatine, Illinois), Jeff Boberg and Joe and Adam Sienkiewicz (St. Paul – Canfield), moved furniture and household goods for the family to their apartment. On January 2, Dianna Bonfield and Jim Berkley will pick up more furniture. Thank you to Darlene and Larry Neumann for making a difference in the lives of the Ortiz family who lost everything in Hurricane Maria that devastated Puerto Rico. And a special thank you to LCC volunteers James Beckley and Rob Fosness who picked up a donation of a table, chairs, and living room furniture and delivered it Jeff Boberg who is storing it until the move in date for the Ortiz Family. Because of your generous donations, LCC was able to respond to Four Homes of Mercy’s Christmas requests by sending funds to provide food, physical therapy, water, support for the nursing staff, and gifts for the residents. The work that is done by Four Homes of Mercy is important and ongoing. Please consider a gift to support them as they continue to reach out “to the least of these” with the love, mercy and compassion of Jesus Christ. On Friday, November 3, the Lovell VA Center was the recipient of two matching arm chairs. After hearing about the partnership LCC has with the VA through Military Outreach USA to help veterans exiting homelessness, Ron and his wife Karen specifically requested their donation be directed to the VA program. LCC thanks Ron and Karen for their donation to care for veterans who bravely served our country. 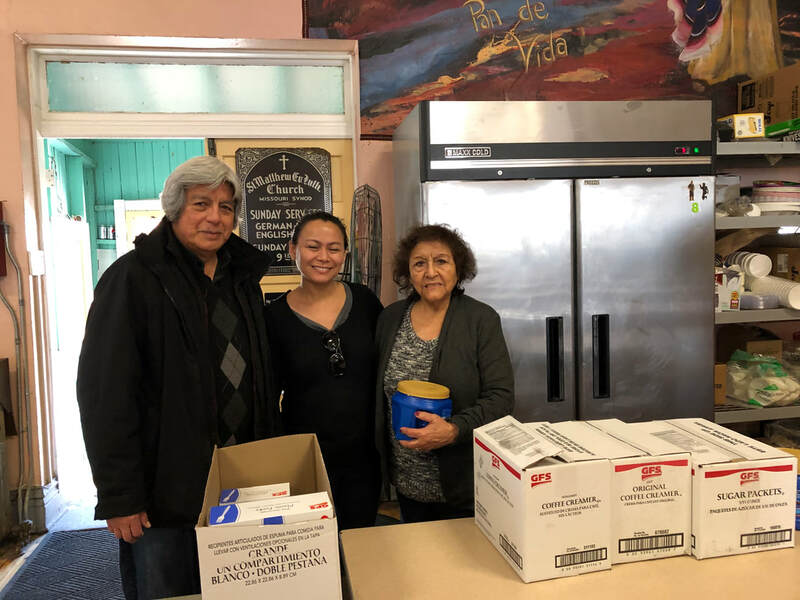 Thank you to LCC volunteer Jackie Catahay who on Saturday, March 23, picked up a donation of supplies and delivered them to the St. Matthew’s Soup Kitchen in Chicago, Illinois. When LCC staff member Dianna Bonfield called to tell Pastor Sifuentes and Deaconess Elly Sifuentes at what time to expect the delivery, she was told how very much this donation was appreciated. Deaconess Elly said they had been praying for more supplies because as of Thursday they were completely out of coffee, coffee supplies and plastic eating utensils. This supply will last them about 3 weeks. 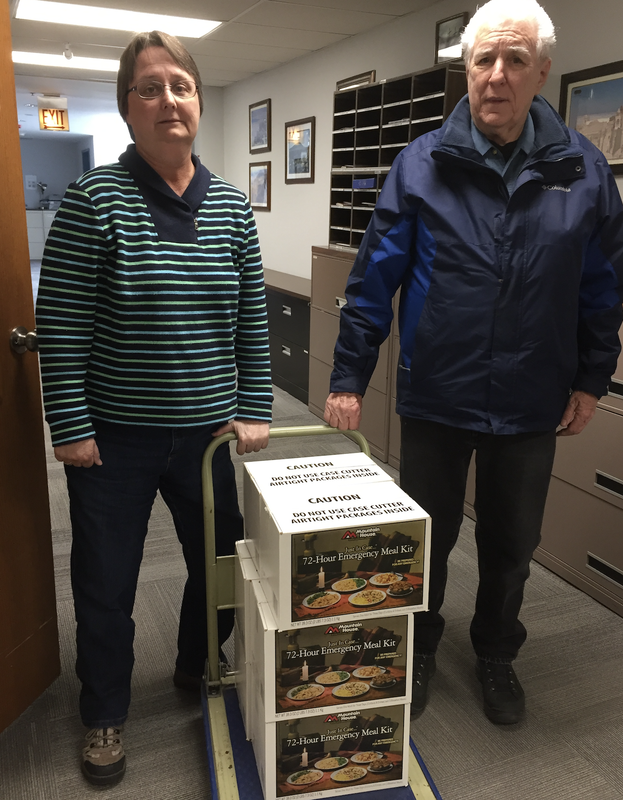 Thank you to LCC volunteer Ed Quinn (pictured with Kathy O’Day, LCC Director of Disaster Response) who picked up six boxes of emergency food packs from Sandra and Michael Behan. Each box will provide nine freeze dried meals that can be prepared in minutes by adding water. This can be beneficial for affected residents after a disaster or LERT team members responding if needed. 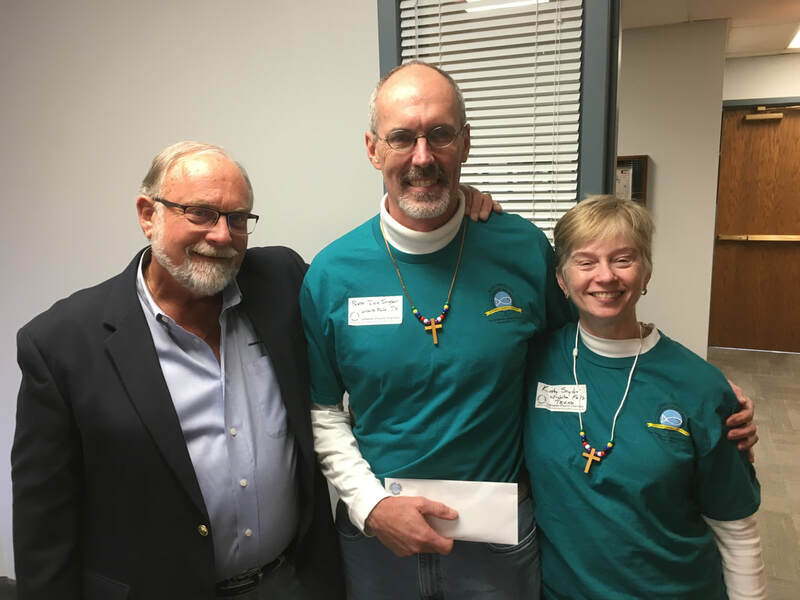 Lutheran Church Charities thanks Laurie Mitchell from St. Peter’s UCC of Chicago for connecting them with Mr. Steve Bunes of American Wellness Supply to receive a generous corporate donation of bedding items. 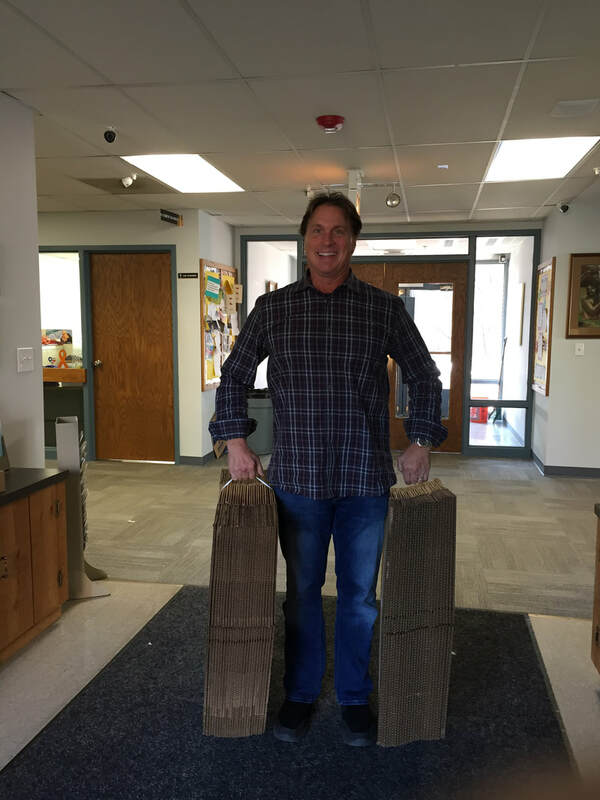 Mr. Bunes donated 1,000 new mattress protectors sized for Twin, XL Twins, Full, Queen, and King size beds. In addition, he donated 72 pillow cases and a few sets of sheets. 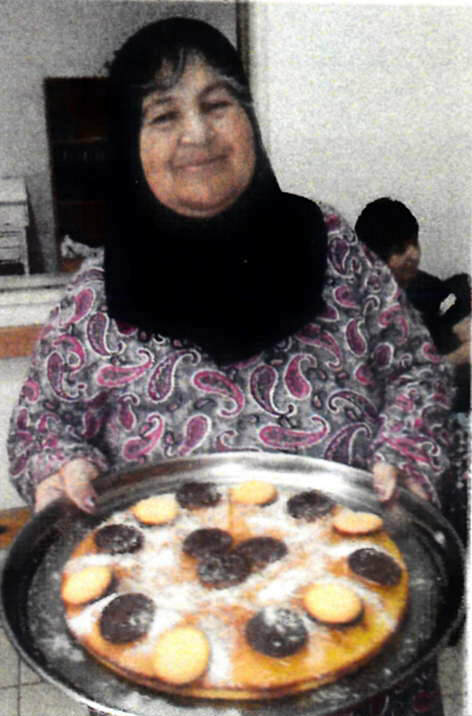 This donation benefitted some families from Salam Christian Fellowship and numerous families from Christ the King Lutheran Church in Chicago, Illinois. Over 800 mattress protectors went to Military Outreach for the VA program to help homeless veterans out of homelessness.